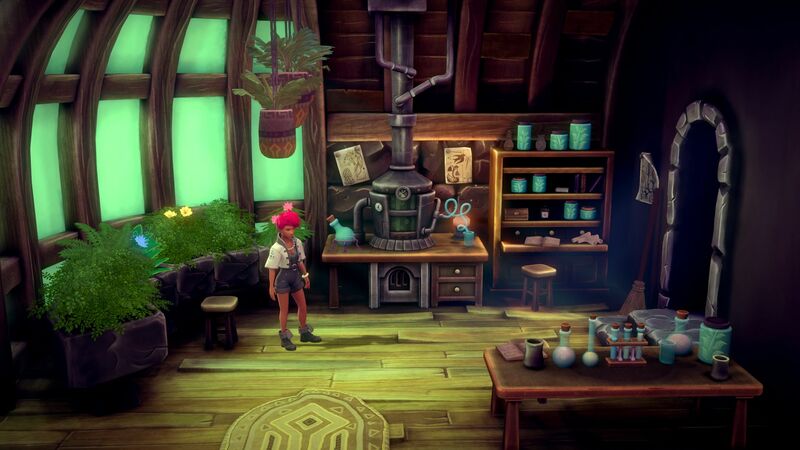 Earthlock is inspired by old school JRPGs from the 1990s. The game features a highly strategic take on the classic turn-based battle system. 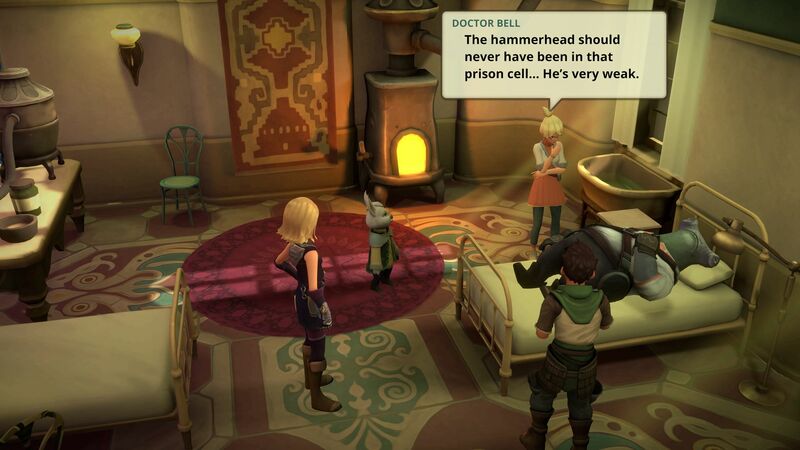 Earthlock also features a flexible character progression system and deep crafting system. 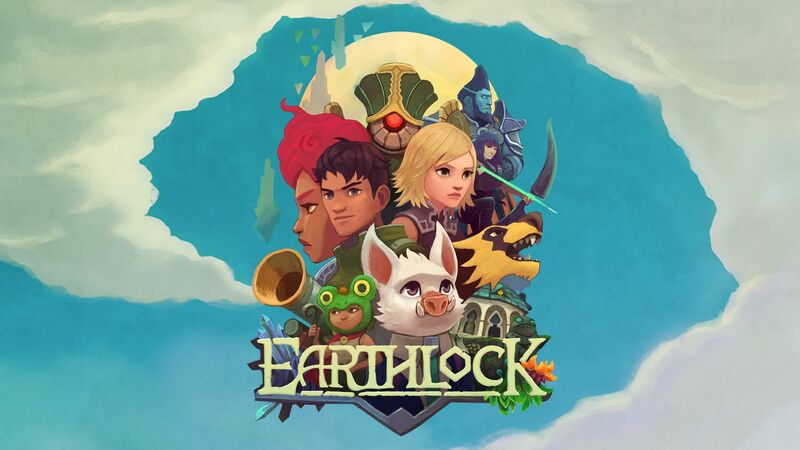 Earthlock stars Amon, a young scavenger who gets tangled up in a larger conflict after he fails to obey his uncle’s instructions following a successful scavenging expedition. The story is enjoyable. The dialogue is decent but falls short of perfection as there are moments where the dialogue wraps up too fast. The resulting conversations can feel a little abrupt, story-wise. I like the fact the writers have opted to include an in-game journal to help players keep track of the lore, as new RPG worlds can be tough to follow. 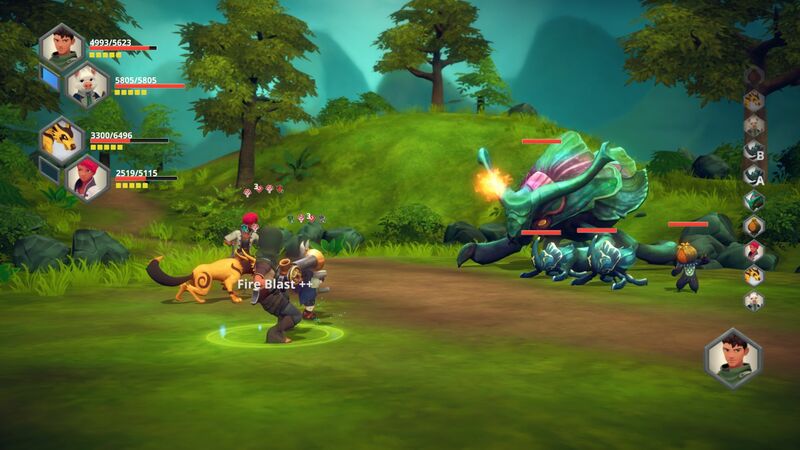 Earthlock’s combat system is billed as an evolution of the classic turn-based battle system. The new system emphasizes strategic combat. The game offers a complex rock/paper/scissors type element and attack type system, two unique stances for each character, plenty of status effects, a pairing system, and abilities that trigger under certain circumstances. The strategy focused system is a bit of a mixed bag. On one hand, the laundry list of status effects and the complex web of strength and weaknesses encourage players to think before they act. On the other hand, the stance system and the abilities aren’t very helpful. The stance system gives characters four abilities per stance. Switching regular stances takes up a turn, while Bond ability stances are free. Most secondary stances are designed to be used in very specific situations, making switching stances pointless in most cases. I often found myself at a tactical disadvantage by switching stances in combat outside of the situations that call for the change. I like the flexible character development system. The pairs system encourages players to experiment with character combos to get special Bond abilities. As two characters spend more time in combat as a pair, their trust grows, and more passive abilities are unlocked. The talent system is a more flexible version of the orb system found in more recent Final Fantasy titles. Players are given a grid with each rectangle representing a type of card. Once a rectangle is unlocked, players are free to swap cards in and out as they please. The system encourages even more experimentation and allows for a lot of flexibility. The crafting system has plenty of content. Raw materials can be purchased, picked up from combat rewards, scavenged, or grown in gardens. The gardening system is a novel little distraction, giving players a stable source of staple materials. Most items can be crafted in Earthlock, from potions to talent cards. The controls for Earthlock is a bit of a mixed bag. PC users looking to check the keybindings will promptly be greeted by an overwhelming amount of possible keybinds. It seems a bit unnecessary considering the game’s controls feel more like an awkward direct port of the controller anyways. The situation is bearable, but it falls short of proper support for mouse and keyboard. The controller works much better, although the bindings are non-standard compared to other RPGs. For example, confirming attacks actually requires the same button be pressed again, instead of the traditional press A or circle to confirm. It takes some getting used to, but there’s nothing wrong with the bindings in practice. Earthlock’s art style is a modern nod to old school JRPGs. The character design is a little more westernized with its simpler outfits. The main characters are still eye catching and memorable, especially the non-human characters. The animations are limited, but it works for Earthlock as its executed in a way that pays tribute to 1990s. There are some small hiccups with the graphics. While the game emphasizes high risk, high reward gameplay by offering bonuses for players who battle a large number of enemies at once, the battle space does not have room for large groups. I found groups of eight or more smaller enemies was often more than enough to cause an enemy or two to disappear off-screen, making targeting a challenge. On the technical side, Earthlock’s PC graphical options are extremely sparse. There is a slider to adjust resolution and options for Vsync and windowed mode. There is no control over refresh rates or graphical quality. Earthlock’s audio experience is a bit of a mixed bag. The music is an enjoyable accompaniment that pays tribute the JRPGs that inspired the game. On the other hand, the sound effects are extremely weak. The volume for individual sound effects are a bit off, with some substantially louder than others. Additionally, there isn’t much variety in the effects, leading to some attacks using effects that don’t pair well. The resulting mess feels like third party sound packs were haphazardly added to the game. 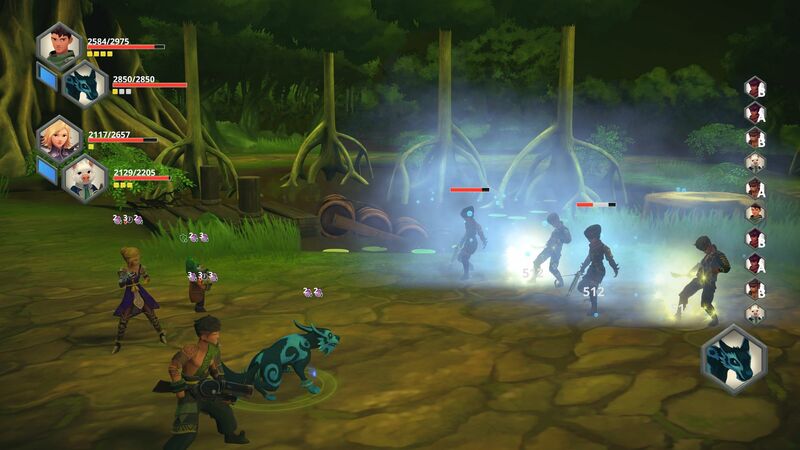 Earthlock is a decent tribute to the golden days of JRPGs but falls short of becoming a classic in its own right. The story and writing are decent. The combat system is a bit too complex for complexity’s sake, but the flexible character progression system is well designed. The PC port leaves a bit to be desired, as the options are sparse, and the mouse and keyboard support isn’t great. The audio/visual experience is decent but is held back by its lack lustre sound effects.